There are a number of large office buildings near this station. It also connects to the "BRT", Bangkok's first dedicated guided busway. 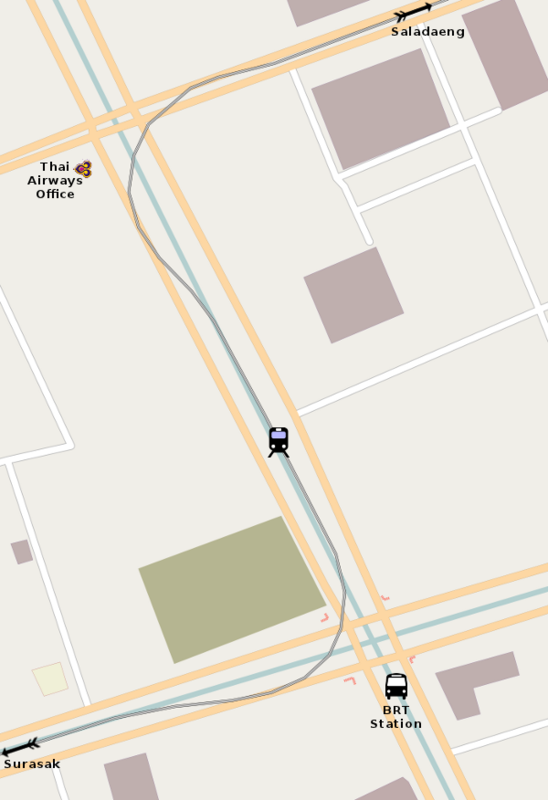 If you need to visit a Thai Airways office, the one on the corner of Silom is the most accessible by train.